We provide comprehensive solution and complete support for your network management. From minimizing network downtime to improving application performance, we make sure your network keep running at its best. Managing network is not an easy matter, especially for a growing business with multiple outlets. With our network managed service, your business will no longer encounter slow network connection. Supported by certified and experienced engineers, we ensure your company will have a solid IT and network infrastructure that suit your needs and requirements. Let us monitor and maintain your whole system so that you can focus on what you do best: growing your business. 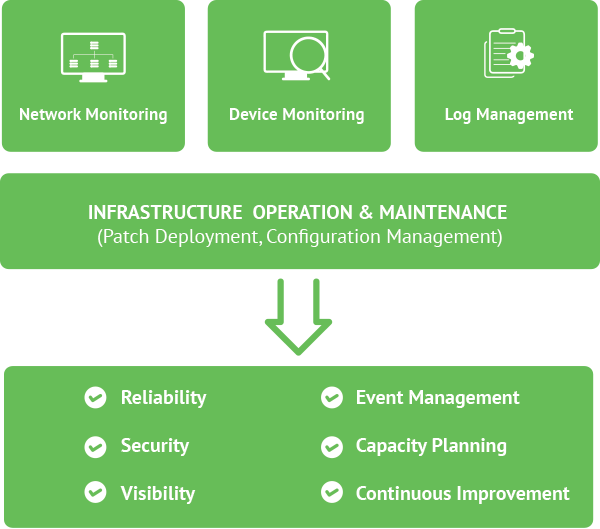 Leave your business network management to Elitery! Your business will benefit a lot from our integrated network management.